We live in a nation with the highest standard of living of any on earth, judging by income and purchase of consumer goods. Although the battle is never won, we enjoy clean air and drinking water, abundant wildlife and room to roam, to hunt and fish and swim in rivers or hike with our families, in a way that almost no other nation on earth can claim. Many of us have been so privileged, for so many generations, that we seem to have forgotten why it is that we, almost alone upon an ever-more crowded planet, can experience this abundance. Those of us who talk of American Exceptionalism- those on the left who decry the notion that we are somehow, as a nation, more blessed than others, or those on the right who claim that we are, simply by dint of place of birth, exceptional, are both profoundly wrong. The United States is exceptional, and any one of the perhaps one billion would-be immigrants to our country may be better equipped to tell us why, than most of us, sated and oblivious, ever could. There is a truth here: Americans have made exceptional decisions, fighting for the quality of life we enjoy, not necessarily on the battlefield, though that is true, too, but in the courts, the legislatures and the halls of power from every point on our compass. Our antecedents accomplished what few others on earth have done- created systems, sometimes complex and interlocking, of providing the money to pay for so much of what has been lost in the rest of the world: parks, ecosystems that both provide invaluable economic and biological services but also make our lives and our children’s lives infinitely more rich and hopeful. One of those systems, one of the most visionary, productive, and successful of them all, has been the Land and Water Conservation Fund (LWCF). The Land and Water Conservation Fund dates back to 1965, when President Lyndon Baines Johnson signed it into law. It was conceived earlier, during the Eisenhower administration, when it became clear that a source of funds was needed to help purchase important lands- historic and cultural sites, forests, parks, open spaces, recreation areas- across the US and especially, to safeguard our supplies of clean water by protecting headwaters and creating buffers along streams and rivers and reservoirs. The funds would come, not from controversial taxation or unreliable grants, but from the royalties on oil and gas production on federal leases along the Outer Continental Shelf. As Dan Crockett, of Bugle magazine (the publication of the Rocky Mountain Elk Foundation) wrote in 2010, “It was a simple idea. Use revenues from the depletion of one natural resource-offshore oil and gas-to help permanently conserve America’s two most precious resources: our land and water.” (For more on the LWCF, click here: and for a more comprehensive report, click here. Land and Water Conservation Fund money has helped create parks, foster outdoor recreation for young and old in underserved urban areas, preserve important landmarks, and in general, increase the quality of life in 98% of the counties in the United States. Recognizing the critical importance of these conservation efforts to both the economy and to quality of life (recreation, closely tied to clean water, wildlife, and public lands access and now estimated to be a $730 billion annual contribution to the national economy, was less well-understood at the time) Congress established the Land and Water Conservation Fund and allocated a powerful $900 million dollars (out of an average of $5 to $7 billion brought in every year in offshore oil and gas royalties) to accomplish the kind of environmental goals that create value- wetlands that prevent floods and filter pollutants and provide the nurseries for fisheries both recreational and commercial, parks and access sites to foster healthier lifestyles for children and adults, and so on, and on. In order for the best urges of our people to be reawakened, we need to understand what we have, how we got it, and what we could lose. To that end, let’s look at one of the mighty achievements of energetic and hopeful citizens and groups, empowered by the Land and Water Conservation Fund, in protecting wildlife, water, public access and all the associated economics, in Central Montana. Central Montana’s Smith River is one of the iconic float trips in the Rocky Mountain West, a big, moderately fast river winding through dramatic limestone canyons and crags to a narrow cottonwood-shaded bottomland cut into a valley between the Big Belt and Little Belt Mountains. The river is so popular that it is Montana’s single permit-only river float, and over five thousand outdoorspeople apply each year for the 750 permits granted to launch rafts and driftboats and canoes on a four or five day trip through what many people have called “the best floating, fishing and camping trip in the United States.” Other than floating, access to the wonders of the Smith is tough- there is only one put-in and one take-out on 59 miles of water. That difficulty of access makes every trip an adventure, an isolated river voyage with beautiful camps and excellent fishing for brown and rainbow trout. Even in river-rich Montana, the Smith is unique, celebrated by all who experience it. 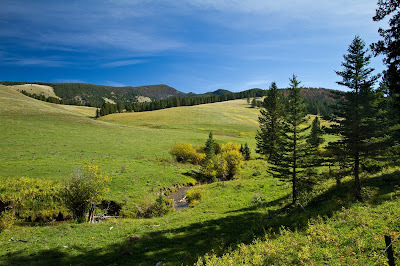 Tenderfoot Creek is a major tributary of the Smith, 20 miles and more of cold mountain trout stream born of high country snows and springs deep in the Little Belt Mountains, with much of its rugged course lying in the Lewis and Clark National Forest. 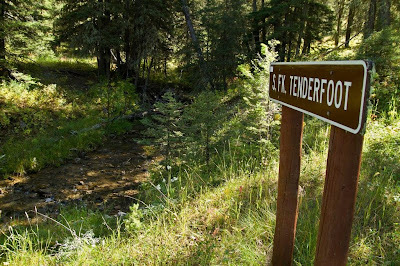 Tenderfoot is a big part of why the Smith is such a powerful draw for humanmankind- it provides the healthy trout spawning habitat, supplies the cold water that charges the river and keeps it healthy and clean, even as agriculture crowds its lower reaches, and irrigation demands challenge its flow. Tenderfoot is a power in its own right, an excellent rainbow, brook and brown trout fishery, with the elsewhere-imperiled westslope cutthroat trout in its headwaters. Thriving herds of elk and mule deer, transient moose, black bear and a variety of other wildlife and bird species live along its mightily diverse course, which falls 3250 feet from subalpine meadows through dense forests and aspen groves to the rich low elevation grasslands where big game animals can survive the often brutal winters. The Tenderfoot country is the source of much of what makes this part of Montana, and the Smith River, so biologically and economically valuable. About ten years ago, the future of the Tenderfoot country was entirely in doubt. The land was held in what is known as a “checkerboard,” ownership with alternating sections- each 640 acres, or one square mile, or parts thereof- with 13 sections held by the Bair Ranch Foundation, and most of the others held by the US Forest Service, as part of the Lewis and Clark National Forest, which surrounds and protects the farthest upper reaches of the watershed. The checkerboard is a remnant of the days of early settlement in the West, with sections granted to, for example, the railroads, some sections were claimed in private ownership (under the various Homestead Acts that continued to offer free land until 1930) and still others held by the federal or state government. At the time, such an ownership pattern may have made sense- no one seemed to understand, in 1862, when the first Homestead Act was issued by Congress, that 160 acres, or even one square mile, could never support a family in the arid or high mountain West. But the checkerboard, in modern times, means that land, and watersheds, and wildlife, are extraordinarily difficult to manage, with conflicting land uses, potentially, over every hill and across every property line. The checkerboard in Tenderfoot Creek had another negative effect, common around the West where public land is interspersed with private: public access, to public land, in one of the best elk hunting areas in central Montana, was exceedingly difficult. The specter of even more loss of access loomed large. If the Bair Ranch Foundation had chosen to sell its land to the highest bidder, the area would have been opened to development of homes and cabins, to logging and road building that would have a terrific impact, from erosion and sedimentation, on Tenderfoot Creek itself. Elk and mule deer would lose their winter range as eager landowners sought out the best low elevation grassland on which to build homes. Gated roads would have effectively barred the public from not just the private lands, but from thousands of acres of Lewis and Clark National Forest lands around the checkerboard and beyond, a de facto privatization of public land that would have changed the character of this country and its wildlife, Tenderfoot Creek, and the Smith River, forever. 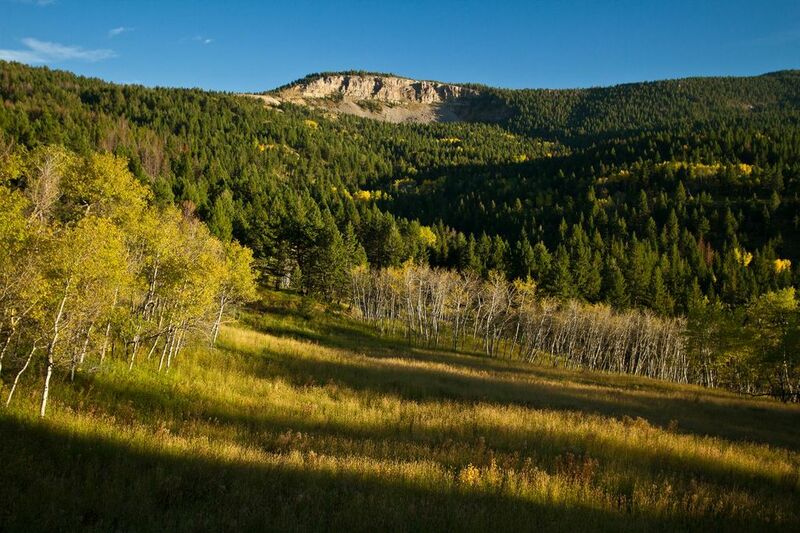 The Bair Ranch Foundation granted the Rocky Mountain Elk Foundation (RMEF) an exclusive option to purchase the lands. Recognizing what was at stake, The US Forest Service made the acquisition a top priority and a new group of Montanans called the Tenderfoot Trust joined the RMEF to help raise money and public support for the deal, as did a wide array of other groups and individuals. The Meagher County Commissioners (where Tenderfoot is located) voiced unanimous support, and Montana’s Senators Max Baucus and Jon Tester did the same. In 2010, with money from the Land and Water Conservation Fund, The Elk Foundation made the first purchase of 1,160 acres of the Bair Ranch Foundation properties. In 2011, 320 more were purchased with LWCF funds. From parks and fitness trails in poverty-stricken inner cities to wetlands that protect drinking water for millions, the US was awash with need for LWCF funds, and competition for the money was extremely tight. Had the LWCF been charged up fully with the money that its founders mandated, there would have been few problems. Because the fund had been raided, there was not enough to go around. But the RMEF was unflagging in its advocacy for the Tenderfoot, and the tenacity paid off. In summer of 2013, the total number of acres acquired and transferred to public ownership in the Lewis and Clark National Forest stood at 5,760. What happens to the LWCF next year, and two years after that, when the act that created it must be re-authorized by Congress, is a matter of deep concern to just about everybody who works in any field having to do with natural resources, from hunting outfitters to biologists at the US Fish and Wildlife Service, from traditional ranching families in Montana and other western states, to urban health care providers who can recite chapter and verse about the link between open spaces, exercise, and people’s physical and mental well-being. Montana’s Senators Max Baucus and Jon Tester have been champions of robust funding for LWCF throughout their careers. Responding to questions for this story, Senator Tester wrote, “Outdoors recreation creates thousands of Montana jobs and protects our proud outdoor traditions for future generations. The Land and Water Conservation Fund is a popular, smart investment in the future of our land, our clean water, and our kids and grandkids who will grow up enjoying the same outdoor opportunities we all enjoy.” In July of 2013, Senator Baucus floated the Madison River near Three Forks, Montana with a group of local businesspeople and recreationists to show support for full funding of the LWCF- the fishing access sites they used to launch their rafts and kayaks were paid for with LWCF money, and so was the much-used trail that runs for ten miles along the river from Three Forks to the Missouri Headwaters State Park, the destination for the flotilla. For Montana, the LWCF has been a critical part of the economy through funding the very kinds of access to rivers and public lands that have made the state so attractive to businesses, tourists, retirees and almost everybody else in the world. 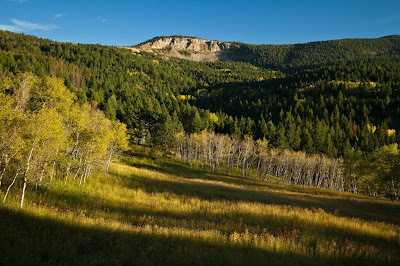 In a world of boom-and-bust, of uncertainty in every arena from climate change to job security, LWCF money has a profound stabilizing effect, ensuring the protection of ecosystem services like the clean, cold water provided by Tenderfoot Creek, or the elk herd and other wildlife there, and then making sure the people have access to that which is protected. It’s a multi-faceted, deeply pragmatic approach to economy, one that factors in quality of life, human health, equality and well-being in addition to immediately quantifiable dollars and cents. As informed citizens and their elected representatives act to ensure full funding of the LWCF this fall, it behooves us to remember that these funds are generated by the sale of finite American energy resources. There is no excuse for this money to be siphoned away, no benefit whatsoever in using them for purposes other than those which they were intended to serve, and have served with such undisputed success. And there is no replacing them. No cavalry bearing sacks of gold will come galloping in if these funds are allowed to be siphoned away again, or permanently taken. We will join much of the world in a balder, meaner nation, far more exposed to the consequences of natural disaster and income inequality, with less clean water, more flooding and loss of biodiversity, and far less access to open spaces and nature for those not wealthy enough to afford their own land. We cannot allow the shortsighted and the ideologically stunted to destroy the vision that has made us that exceptional nation that is the land conservation beacon for the world. And I’m convinced that we will not. Outdoor Life blog post describing the bipartisan pushback against the US House of Representatives attack on conservation and the LWCF. “It was in fact LWCF money that first helped put the Elk Foundation on the map as a national conservation force. In the ashes left behind by the wildfires of that burned almost half of Yellowstone National Park in 1988, the RMEF saw a chance to achieve what no one had been able to do for sixty years and make a lasting difference. A $7 million grant from LWCF allowed the foundation to protect some of the most vital winter range just north of the park and keep a key (big game) migratory corridor intact. Those lands included the historic OTO Ranch and what is now the Dome Mountain Wildlife Management Area. Public hunters are doubtless chasing elk and deer there as you read this.